A pay run is a report that shows you how much employees have earned, which factors in things like overtime (regular hours, overtime hours, double time hours), as well as custom pay items like deductions, reimbursements, and other earnings. 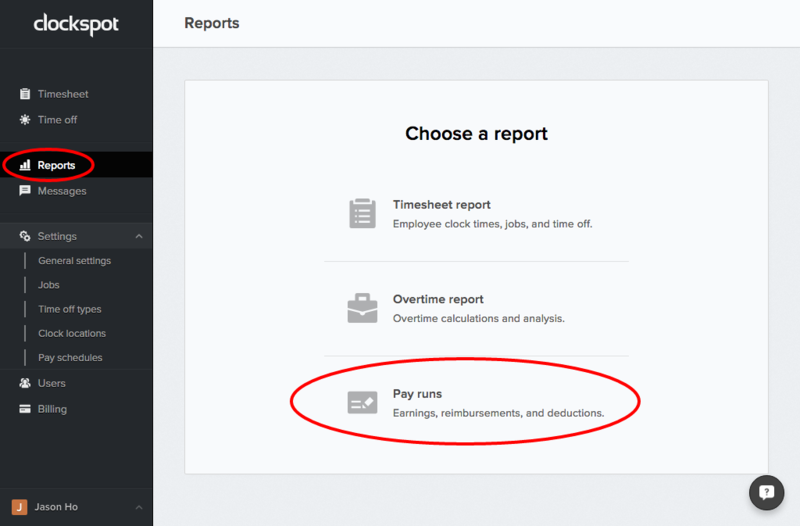 Once you add a pay run, you can click into it to see more details about each individual user’s pay run (also called payslips). Click on the tabs “Summary”, “Timesheet”, “Overtime” to see each section of the payslip. Once pay runs are approved, they will show up in an employee’s “Payslips” page.